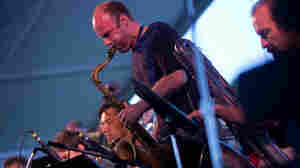 August 7, 2011  Hear a special set from Newport, featuring Theo Bleckmann, Kate McGarry and pianist Uri Caine. July 1, 2008  A progressive musical polymath famed for his abundant improvisational skills and mutated reinventions of classical repertoire, the pianist and composer kick-starts his acoustic jazz trio. February 21, 2007  Prolific jazz pianist and composer Uri Caine has a new recording: Uri Caine Ensemble Plays Mozart. July 28, 2001  One part hip-hop, two parts jazz and a whole lotta Philly — that's what happens when you mix three master musicians, unrehearsed jamming and a risk-taking producer. Scott Simon talks to bassist Christian McBride and producer Aaron Levinson of The Philadelphia Experiment about their experimental new album. 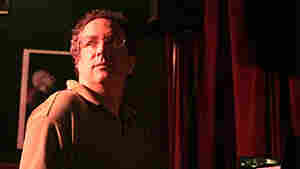 November 24, 2000  Jazz critic Kevin Whitehead reviews pianist Uri Caine's 2-CD set, The Goldberg Variations. December 9, 2009  These days, the trumpeter and composer is becoming a public advocate for jazz at large. But this week, it's all about the music: His most popular band presents new works.